On this page you can consult informations about distances and roadmaps from Weipa Airport to major cities and places in Australia. Featuring free WiFi throughout the property, Heritage Resort offers accommodation in Weipa. Guests can enjoy the on-site restaurant. Rooms include a TV. Some units feature a seating area to relax in after a busy day. This hotel is 7.95 km from city center. 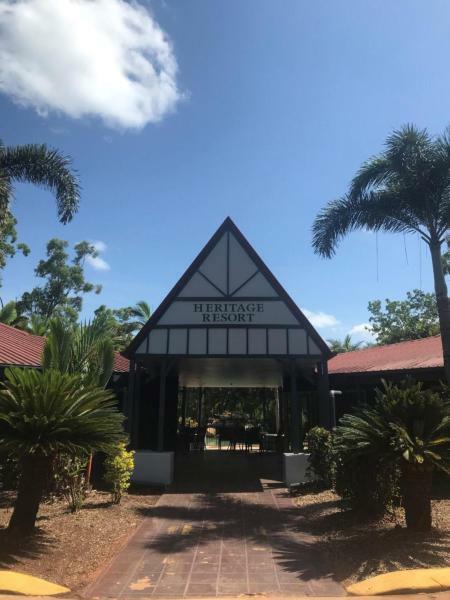 Located just 2 minutes’ from Rocky Point town centre, Anchorage Weipa offers a swimming pool, BBQ facilities and a games room with a pool table. All accommodation offers a refrigerator and a TV. This hotel is 7.47 km from city center.